Participants will be divided into small groups each having their own specific topic / problem to discuss. Each small group will also present their findings to the whole group. The first workshop seminar organized under the Green Cruise Port project was held in Helsinki, Finland on Thursday 10th and Friday 11th of November 2016 on “Green Cruise Port Innovative Waste Management and Reception Facilities”. The workshop is part of the work package 2: Smart Cruise Terminal Buildings & Innovative Reception Facilities. The seminar included presentations of different actors in the port waste management sector, workshop session and site visits. 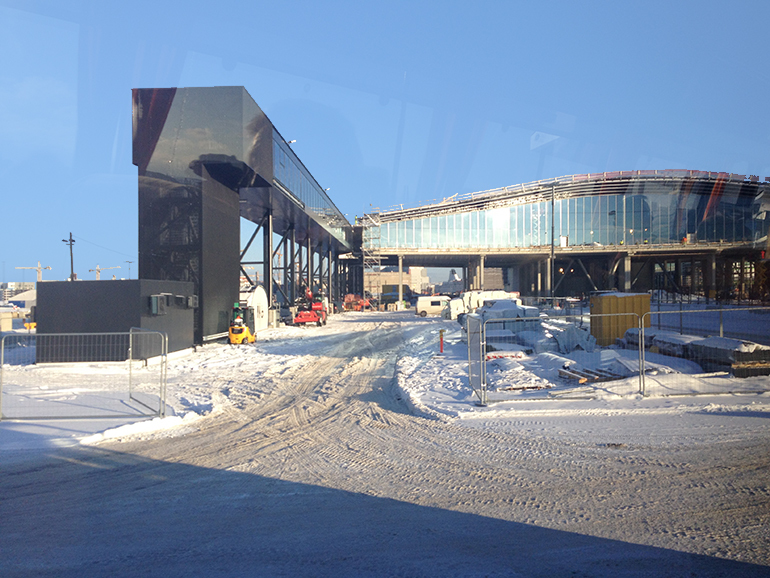 First site visit was the new West Terminal 2 at the West Harbour in Helsinki and the second the Viikinmäki wastewater treatment plant where waste waters from vessels are conducted from the Port of Helsinki. The first seminar day started with the opening presentation of Mr. Ingo Fehrs from Hamburg Port Authority about “Development of sustainability in cruise port locations”. He briefly introduced the Interreg Baltic Sea Region Green Cruise Port project and the purpose of the workshop. The aim of the Green Cruise Port project is to “elaborate a multidimensional strategic approach for a sustainable and qualitative future development for cruise shipping in port areas”. The project had its opening conference in Hamburg 2016 and the closing conference will be held in Tallinn 2019. The project divides into three different thematic work packages: Sustainable Energy Supply & Innovative Solutions for Emission Reduction, Smart Cruise Terminal Buildings & Innovative Reception Facilities, and Smart Cruise Port Traffic Solutions and Economic Effects. The workshop seminar in Helsinki concentrated on the second work package and its aim is to adjust more smart solutions to waste management in ports and to help cruise ports in becoming more environmentally friendly. In order to reach these goals and while there is an ongoing pressure of bigger cruise vessels calling ports cooperation is needed between Baltic ports, cruise operators and other actors related to waste management as well.